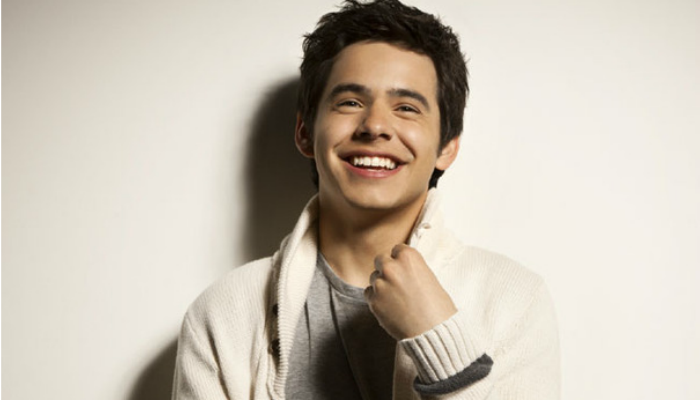 David Archuleta is a pop singer who got his ticket to stardom on the 7th season of the popular TV singing competition American Idol. He was only 16 years old, but he received over 44 million votes from viewers and ended up in the final two. He was the runner-up of the season and won the hearts of fans all over the world. Long before Idol, music was an important part of David’s life. He was born December 28, 1990, in Miami Florida. Both of his parents were musicians — his father, Jeff Archuleta, was a jazz musician, and his mother, Lupe Marie, was a salsa singer and dancer from Honduras. David also learned to play the piano and the guitar. The family moved to Utah, where David eventually attended Murray High school. When he was 10 years old, he won the children’s division of the Utah Talent Competition. At just 12 years old, he won the Junior Vocal Champion award on Star Search 2. His powerful, pure singing voice has lent him much time in the spotlight, with many awards and successes along the way. After finishing the American Idol season as runner-up, he went on to record his first single, “Crush,” which was No. 2 on the Billboard Hot 100 chart. 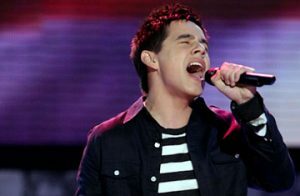 Soon after, he released his first album, “David Archuleta,” which went gold with more than 900,000 copies sold worldwide. He won the Teen Choice Awards for Breakout Artist, Love Song, and Music Tour. He also won the Year in Music–Rising Male Star award at the ALMA awards. He made an appearance on Nickelodeon’s shows iCarly and Hannah Montana, where he sang a duet, “I Wanna Know You,” with Miley Cyrus. His other albums include “The Other Side of Down,” “Forevermore,” “Begin,” and “Now Matter How Far.” He has also written a book, Chords of Strength: A Memoir of Soul, Song and the Power of Perseverance. In the middle of his success story, David made the decision to put his singing career on hold. He felt that he needed to make his faith a priority, so left in 2012 to serve for two years as a full-time missionary for The Church of Jesus Christ of Latter-day Saints in Santiago, Chile. There, he was able to teach many people about his faith. As he taught the gospel, he used his talent as a powerful tool to soften hearts. He says that his mission taught him to be more confident in many ways, including speaking and singing in English and Spanish. When he returned from his mission, he was given many opportunities as an artist. He has traveled to the Middle East to perform for U.S. troops. He recorded the song “Glorious,” for the movie “Meet the Mormons.” He continues performing and writing music. He is currently preparing for another release. Since the beginning of his journey, David has been very transparent about who he is and what he believes. On his blog and social media sites (Facebook, Youtube, Instagram, Twitter), he writes his thoughts and feelings down for his fans. He shares uplifting messages, including the video for his song “My Little Prayer,” which he posted as part of The Church’s #LightTheWorld Christmas campaign. Happy Father’s Day to all you padres!